Stove & Chimney Solutions - Fireplaces/Stoves based in Wimborne, Dorset. 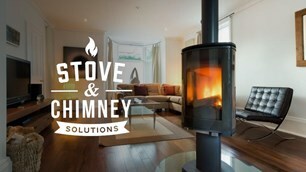 Welcome to Stove & Chimney Solutions, Dorset and Hampshire's installers of wood burning stoves and chimney services. Our heating engineers are HETAS approved installers and fully insured, experienced and reliable and friendly. We are a family run sole trader business dedicated to wood burning stoves. We can provide in house signed off installations in accordance with current British standards and building regulations from twin walled internal and external installs to stoves in fire place openings. No chimney no problem phone us now to see how you can have the wood burner of your dreams and we will ensure the integrity and effective performance of your stove and flue and condition of your chimney. We look forward to giving any free help and advice along the way to guide you in the right direction and to recommend the best appliance for your requirements and sizing options. Call or email us for a free survey / quote and any help or advice. We have been installing wood burning stoves for the last 5 years and we offer a complete stove installation service from survey to all building works. Please look at our website for more information and pictures. www.stoveandchimneysolutions.com or email us at [email protected] with any further questions. Wimborne, ferndown, ringwood, Poole, Bournemouth, Corfe mullen, Verwood, Christchurch, west Lulworth, Shaftesbury, Sherborne, Dorset, Hampshire And surrounding areas.